I’ve always wanted children and I’ll be honest one of my biggest fears in life was not being able to have them. We had Been talking about having children for a while though when we found out I was pregnant it was a bit of a surprise but a very welcome one. 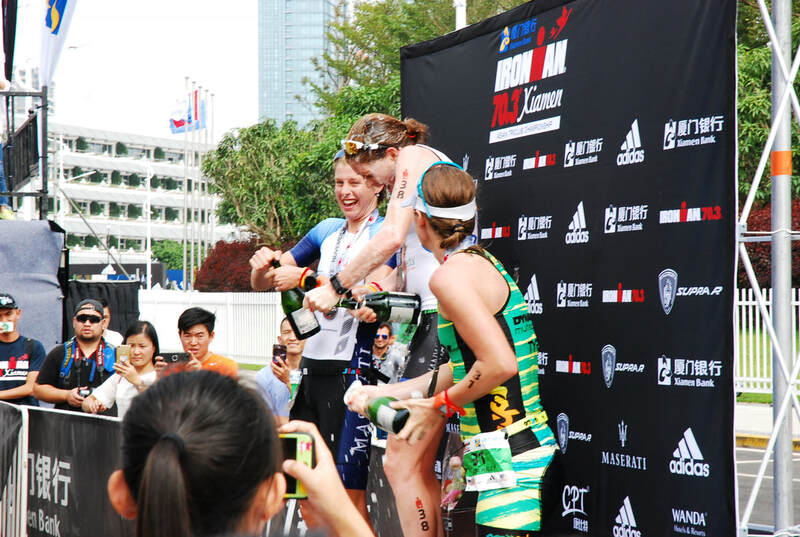 To be honest when I raced in Asia in November and December last year I was neither fit nor injury free and going in to those races I felt like I could barely run but my head was able to push a sore and underprepared body around to some great results including my 8th 70.3 win. Although it was early days, after this I thankfully felt that was on I’ve always wanted children and I’ll be honest one of my biggest fears in life was not being able to have them. 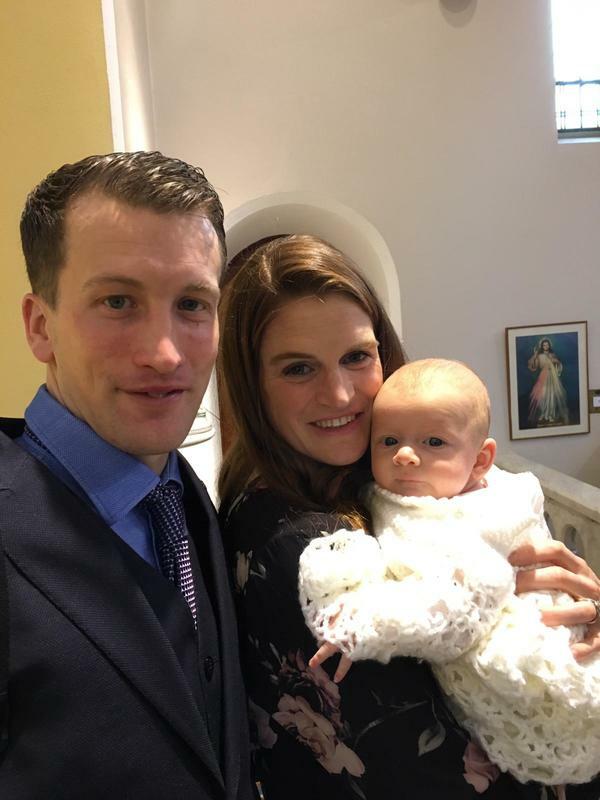 We had Been talking about having children for a while though when we found out I was pregnant it was a bit of a surprise but a very welcome one. the way to fitness and recovery and those races were the mental boost I needed to show myself that I could still come back and be competitive after a long injury break. 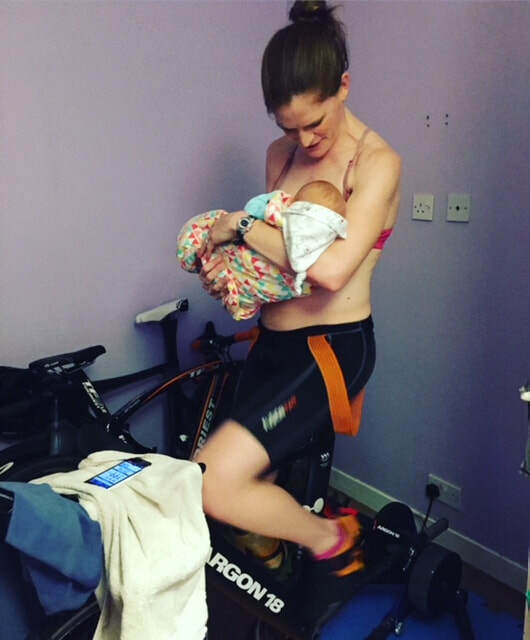 Without having done those races I’m not sure I would even be thinking of competing again post pregnancy. Towards the end of December training, particularly running wasn’t progressing as well as I would have liked and I was questioning if I’d ever be able to get back to being fully fit. 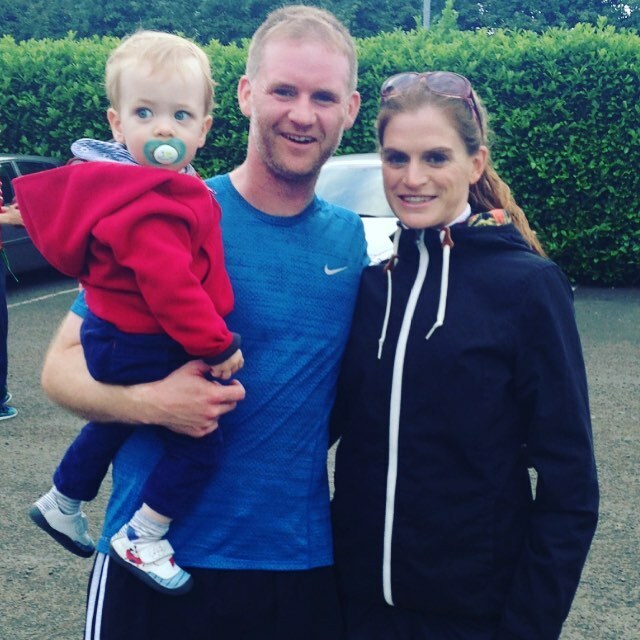 When training at home during the Christmas holidays I was struggling to run pain free and I started to think more about having children and wondered when would be the right time for us, little did I know I was already pregnant. When January came, things clicked, I started running well and feeling great. I felt like my old normal run legs were coming back and it felt amazing. 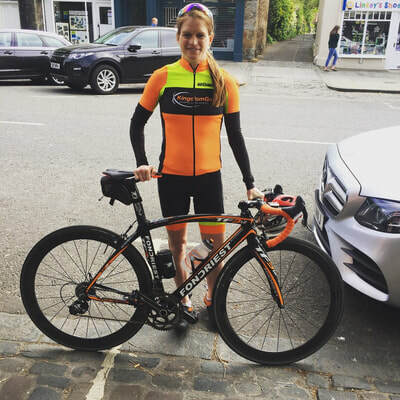 This continued for some weeks and I started to think about why my body was suddenly feeling so good and how the leftover niggles and stiffness from my injury could just disappear so quickly. 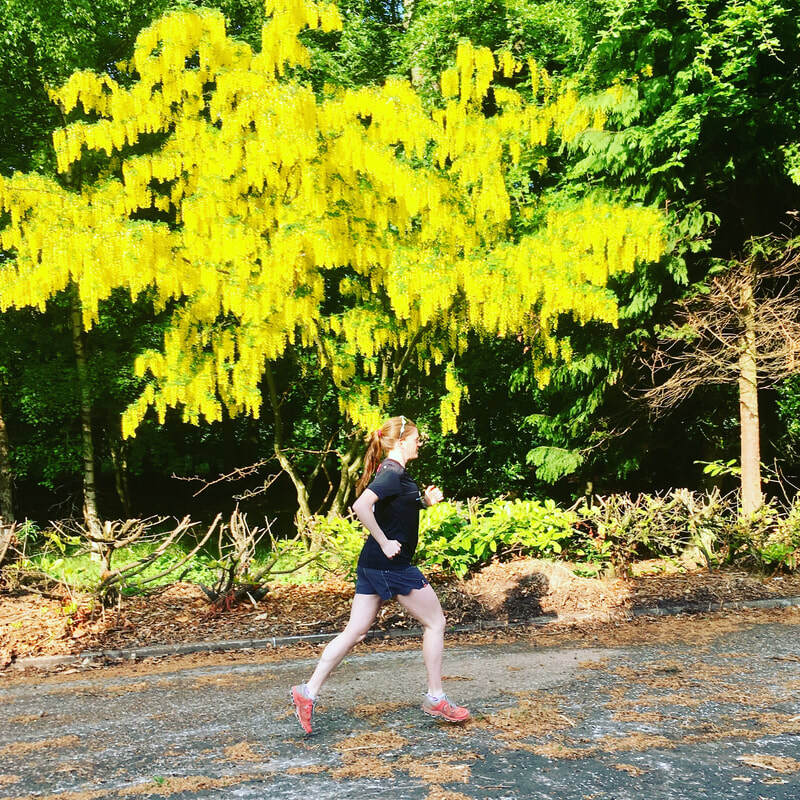 One morning I was on a lovely flowing fast run and for some reason I questioned if pregnancy could be the reason for the sudden boost to my body. I had no other signs, symptoms or indication of pregnancy so feeling slightly silly I took a test and there it was, in words ‘pregnant’. We were a pretty surprised to begin with but another couple of tests confirmed it. As it turns out now is the good time for us to start a family. My first trimester flew by and not knowing I was pregnant made some of the tiredness easier to deal with, I actually put it down to recovering from a bad cold I got in January. Actually, my training was really picking up and I really felt the best I had felt for years. As soon as I found out things definitely slowed down a bit training wise but I was keen to keep some structure going and to keep my body moving. 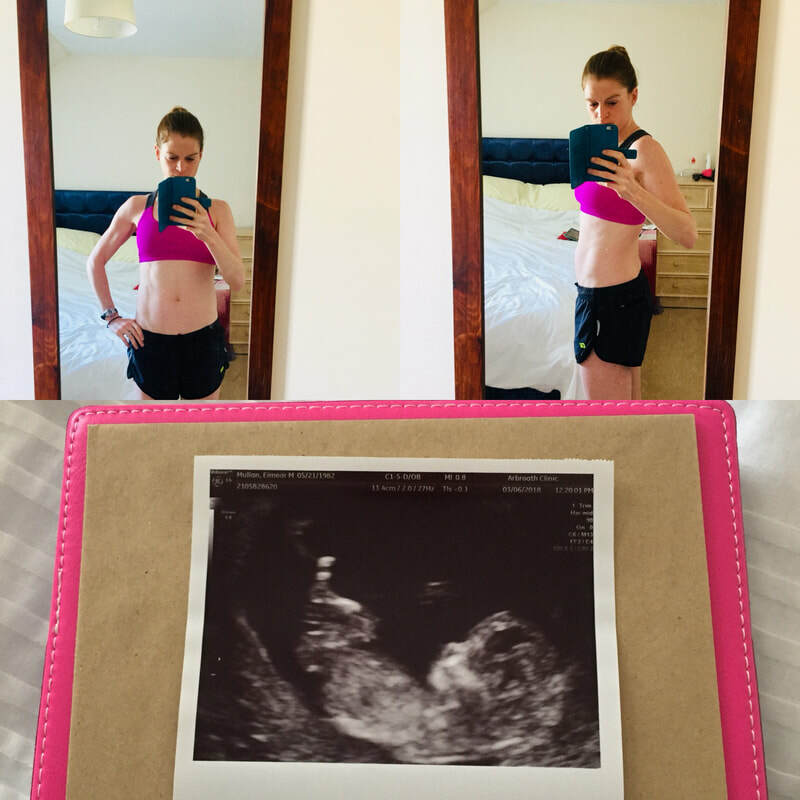 I looked in to exercising in pregnancy and the information wasn’t very clear but at my first midwife visit I was given the all clear to keep exercising and doing what feels good and what my body is used to which was great to hear. 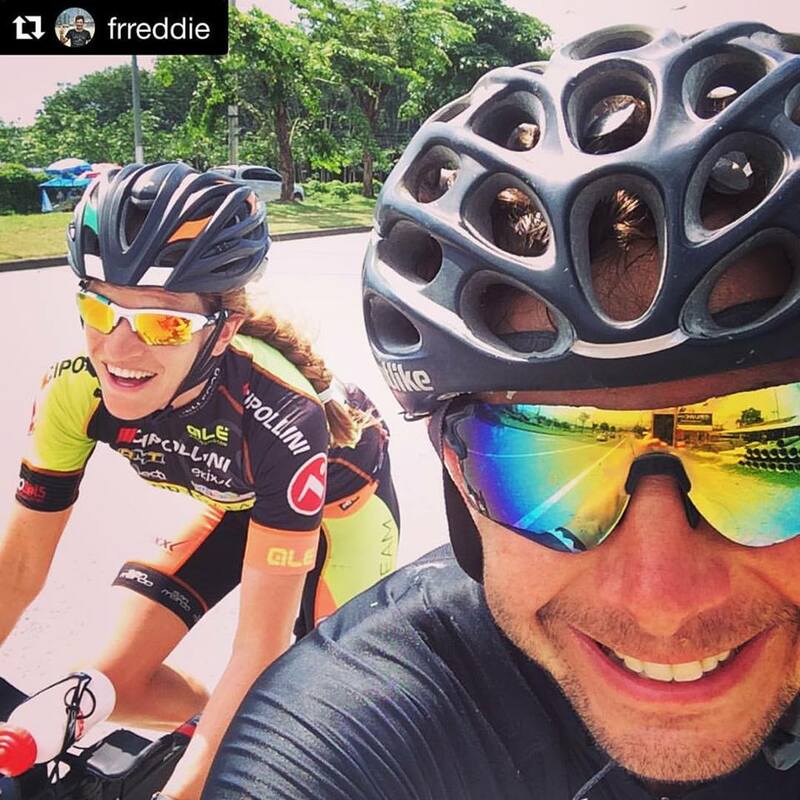 I told my coach Rob and we decided to keep to a loose training plan for a while to keep me moving and motivated. Having a little plan really helped me in many ways even if I didn’t strictly stick to it. We kept this going well in to the second trimester. I listened to my body, backed way off on intensity and took it easy when I needed to though I did find that on tired days some short easy training sessions helped to keep my energy levels up. I definitely was one of the lucky ones with no morning sickness and only some slight nausea once or twice which was easily relived by eating somethingneedless to say I was never without a snack nearby. In the second trimester I felt pretty good but running started to become a problem quite early on. At around 13 weeks I could already feel that my pubic bone was very tender and sometimes sore after running but it eased quite quickly. I managed to run relatively well up to 16 weeks when suddenly during a run something went in my SI joint and I hobbled home. It got worse and worse to the point where I couldn’t walk and was on crutches for a couple of weeks. 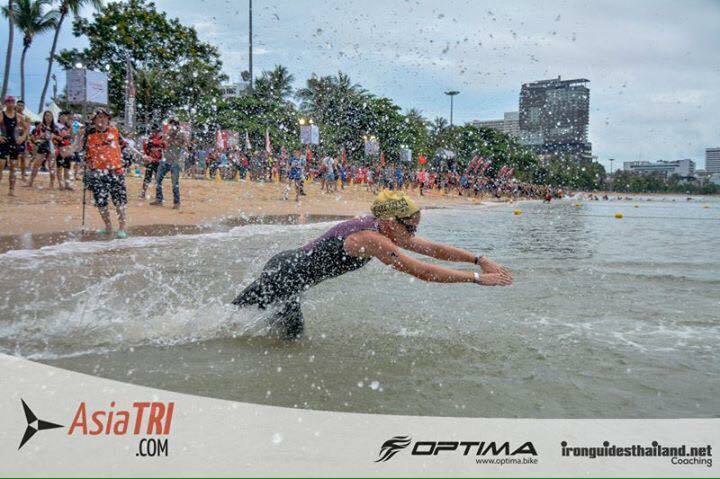 At this point I was limited to easy swims (pull only and with no push off the wall). As it began to ease, many weeks later, I slowly introduced some short walks and easy indoor bike rides. It’s amazing how much you can sometimes appreciate just a 15 minute slow walk. 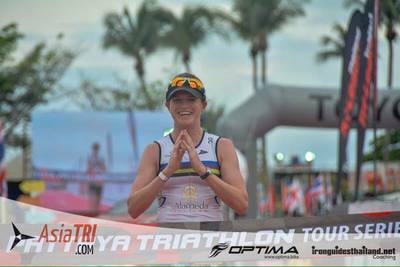 Eventually the pain really eased off and I was able to (slowly) run, bike and swim again and could follow a light, easy training plan whilst making sure I was listening to my body and adapting when I needed to. If I didn’t feel right I would stop, it’s something I’ve been bad at in the past so hopefully I will remember this lesson in the future. As the weeks progressed I felt better and better probably somewhat due to the fact that I could exercise pain free again. Some friends introduced me to the FitSplint which holds your expanding belly when walking or running and this definitely helped me to keep running (very slowly) for a good few weeks longer than I ever thought I could. So far I feel like I have been very lucky to have kept healthy and well and I hope that my final weeks will go smoothly. I’ve kept busy and kept up some light training with a view of coming back to the sport next year. I know it’s not going to be straightforward or easy either physically, mentally or practically and it’s going to take a long time to figure out how to make it work but right now I feel it’s a challenge I’d like to take on and I’ve been preparing the grandparents for some extreme babysitting! Injury is something that any athlete will try to avoid at all costs. We spend so much time committing ourselves to our sport so that we can be faster, fitter, stronger and better than before. We want to be the best we can be, but, sometimes we are so focused and determined that some of us will allow an injury to sneak up on us without taking it fully on board until it’s too late. We deny that it’s there and know deep down that something isn’t quite right, but continue to push our bodies to the limit and before we know it, there’s a full blown injury and we are unable to train or race for long periods of time. This happened to me and I just recently got back to racing after over 2.5 years of injury, and over 2 years away from competing. Injuries are difficult to deal with for any athlete. Whether you are a recreational athlete or an elite athlete, sport has similar functions in our lives. It can help us to cope with stress and can give us a sense of identity, becoming a part of who we are and what we do. It can also be a major source of self-esteem by providing us with positive reinforcement when we complete tasks, master skills or overcome challenges. But, when an athlete is hit with an injury, they can suddenly feel a sense of loss both physically and mentally. This was true for me when I had to come to terms with a painful and relatively long-term injury, not to mention the many other injuries I have suffered on the long road back to fitness. Firstly, I began to lose my physical strength and fitness and was left feeling like I had failed and that my body had failed me. Then, losing a major source of self-esteem, I became full of self-doubt and began to question my self-worth. It seems extreme considering it’s a sporting injury and not a major health complication, but, even thinking of this made me feel bad about feeling bad. Looking back, I am surprised at just how much it affected me and my personality as I’m a generally positive and happy go lucky person, but the mental torture of injury crept up so slowly that I barely realised it was happening. I felt alienated and isolated with those around me working hard to achieve their goals while I watched from the side line, wishing I could do the same but knowing that I was in so much pain and discomfort that I couldn’t do any of it. I even felt like people from outside the sport were judging me and wondering why I wouldn’t just quit. Learning to cope with an injury can be very difficult and some of us are much better at it than others. Some people say that the stages coping with and injury are similar to that of coping with grief: denial, anger, bargaining, depression and acceptance. From personal experience, I can say that most of those stages did ring true for me over the past 2.5 years, and, although my injury was physical, the mental pain was just as bad. For those struggling with injury, there are a few things that you can consider to help ease the mental torture. Firstly, I think it’s important to allow yourself to be sad. It’s ok to feel bad; you’ve lost an important part of what makes you happy. Accept the way it is and don’t keep thinking of what if or if only (I weren’t injured). Stay as positive as you can; I knew how important this was but even as a very positive person, I struggled with this. Being positive can help speed up the healing process and can help stop the misery and depression of an injury from taking hold. Once you know what the problem is and how to fix it, then it’s time to do your rehab. It can be boring and tedious work, but it will help you to feel more in control and to feel more positive. It will help you stay focused on what you can do instead of dwelling on what you can’t. Set small goals for yourself, just for now forget your old goals and focus on the little steps. Be as patient as possible, this is one of the most difficult aspects of injury. You need to allow enough time for the body to heal and repair. Rushing back can be one of the worst things you can do and can take you from almost better to fully injured again very quickly. Most injuries won’t have you out of the sport for as long as I was out, so, if you can be patient and focus on your rehab, chances are it will soon be a distant memory and you’ll thank yourself for having the patience to let it heal and repair. These are just a couple of little points that I wish I had been more open to and aware of throughout my injury. Although I’m back to racing and even managing to win some races, I’m actually still rehabbing and building up after my injuries so I hope I can follow my own advice. ​Today is a rare complete rest day so I thought I would take the opportunity to write a little update. I can’t remember the last time I had a full day off and it’s mostly because for the past 10 months I have been coaching myself. I think it was the right decision to be self-coached when managing my first steps in returning to training after a long break due to injury. I could assess how my body felt day to day and could train accordingly, but as usual when I coach myself I tend to want to do perhaps a little more that I should and rarely have a full day off. As I built up a base and things began to progress I started to think about getting a coach. I decided that I would keep doing what I was doing and see if an opportunity came up. It came up quicker than I thought and I began working with a new coach 2 weeks ago. I’m very grateful for the opportunity and it’s been a very different kind of program for me. I’ve never really used power or pace when biking and running never mind uploading sessions for a coach to see but I am slowly getting used to it and am really enjoying having a program to follow. It allows me to just get on with the training without thinking too much. I was planning to race some 70.3 races in early August but now I am happy to be a little more patient and will wait until at least the end of August to get started. 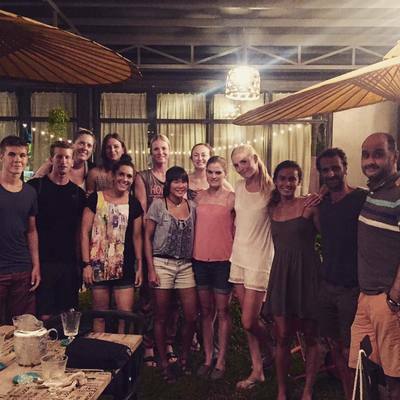 I left Thailand around a month ago and after 7 months I was really sad to leave. I loved every minute of my time in Asia and am so grateful to have had the opportunity to train at Thanyapura and to do my rebuild and rehab in such a beautiful place with such world class facilities. Without it I would not be doing the sport anymore. I feel so lucky to have met some really amazing people along the way and I can't wait to go back later in the year for more training and some races. 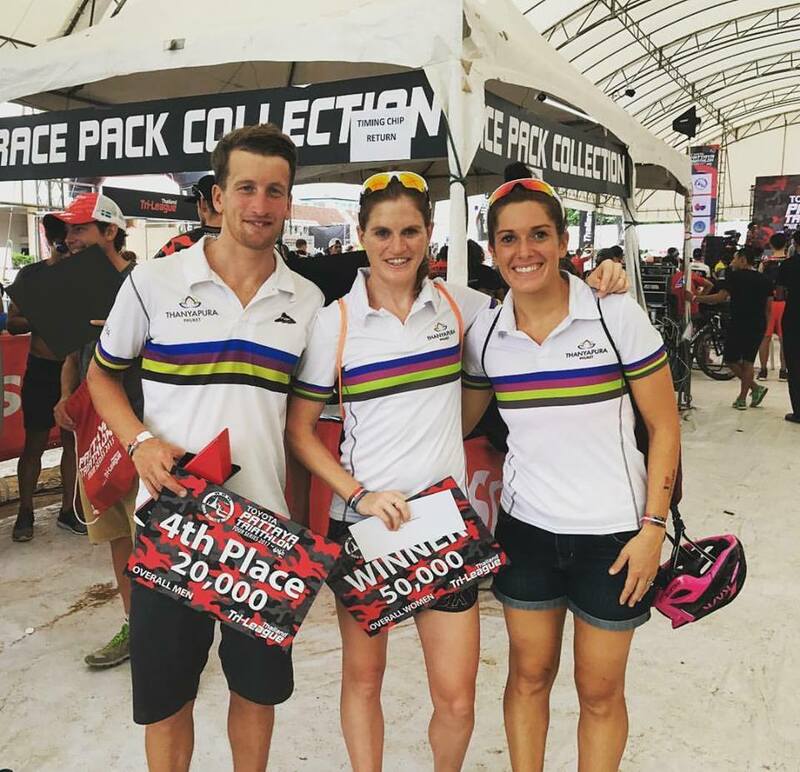 I managed to do my first race at the end of May which was absolutely amazing and a great weekend away seeing more of Thailand. 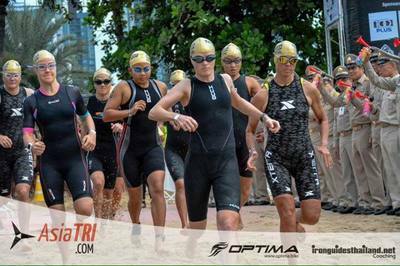 The Thai Tri League races are very professionally run and such great fun with a real community feel. I was underprepared and hadn’t started any proper run training, just a few slow jogs, so I didn't have any plan for the race except to run easy and to not set myself or my recovery back. 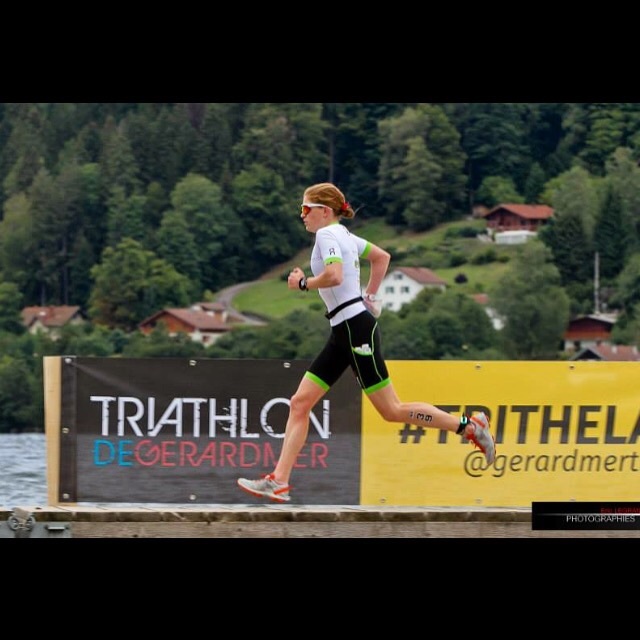 I stuck well to the plan but in hindsight was a big risk to race so soon though luckily my body coped well. 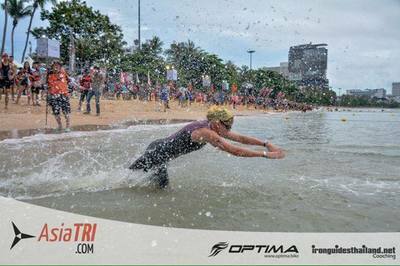 I had a good swim (maybe one positive from my injury) and took the lead quickly on the bike. I really enjoyed just being in a race again and I managed to hold on for the win. I spent a short time at home in Ireland and my hometown was host to the Dubai Duty Free Irish Open, I’m not a big golf fan but it was a great experience. I also did completely unplanned 10k with my brother, I hold the overall course record of 34.29 on the hilly course and I was way off that mark but am definitely making progress. Right now Ritchie and I are settling in to some training in Scotland. 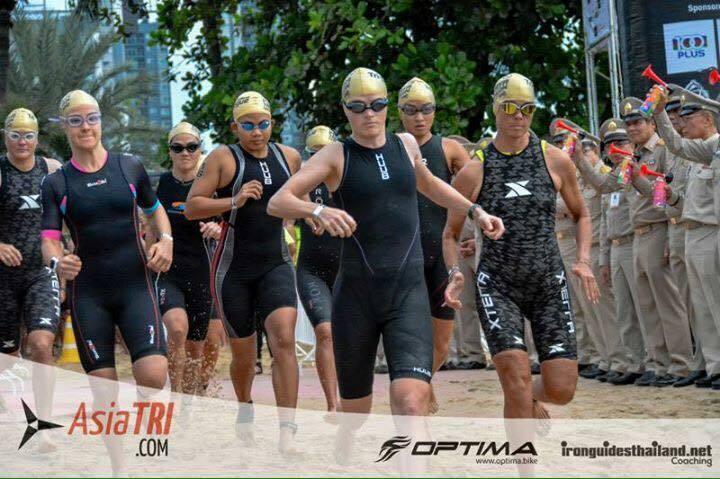 It’s a bit of a shock after the heat of Thailand and we could do with a few more sunny days but I’m slowly getting used to it and enjoying getting in to a rhythm in training. I have to say that I was happy to see the back of 2016. There were some good points from last year like getting married at home in Portstewart, living in Ireland for the first time in a long time, training with coach Eanna McGrath and the Base2Race group and meeting some amazing people but with regards to triathlon and injuries I'm definitely glad to be moving forward in to the new year. I could write many pages about my injury, the physical and mental impact and ups and downs that come with such a long injury (it began in April 2015!) but I'll save that for another time when its a distant memory and I'm fit and racing again. At the minute I have no solid plans, I have to be very patient but I'm hoping to start racing some smaller races in a couple of months time and to build from there.